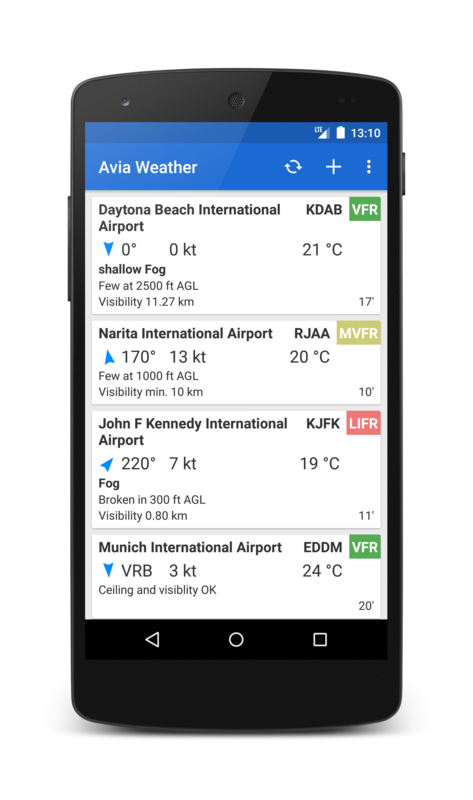 The reliable and straightforward Aviation Weather app for pilots and aerospace enthusiasts. The METAR-Reader decodes and presents the current METARs of more than 9500 airports around the globe. Neither more nor less. A simple color coding allows a fast classification by VFR or IFR Conditions - as an option even by NATO Color State. Additionally the current TAF weather forecasts are retrieved and displayed clearly in a decoded form. A widget which can be configured to display either decoded METAR or raw METAR / TAF is also available. New weather stations can be found worldwide by ICAO or IATA-Codes, airport name or city. They can be organized in user defined groups - e. g. for your most common routes or alternate airports. Additionally an auto-managed group always presents nearby weather stations. 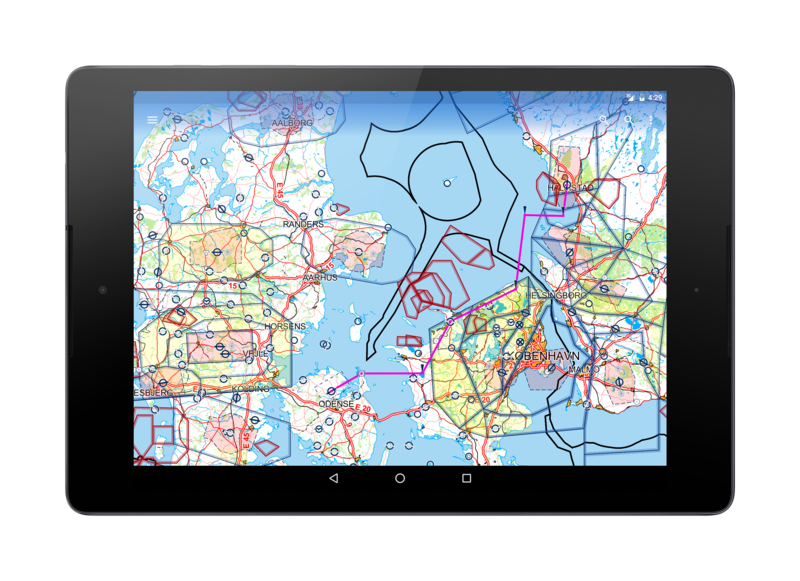 The straightforward Aeronautical Charts for pre-flight planning in 42 countries. The reliable and straightforward Aviation Maps for pilots and aerospace enthusiasts around the world. Simply choose any 5 by 5 degree area on earth and download relevant data for offline use. The map features over 50000 airports and 11000 navaids around the globe, just as airspaces for currently 42 countries on all continents (except Antarctica). For clarity and commonality to paper charts the map is themed in the style of ICAO Annex 4 (Aeronautical Charts).